SI.com lays out the key storylines surrounding each Big Ten team during spring football. The College Football Playoff era has been a good time for the Big Ten. Consider what has happened the past two seasons. In 2014, Ohio State knocked off SEC kingpin Alabama and then won the national championship. Though denied a second title in ’15, the Big Ten was the only conference to place two teams in the top five (No. 3 Michigan State and No. 5 Iowa) of the final playoff rankings. Meanwhile, two of the league's squads that didn’t get in the top five, Michigan and Ohio State, possess lasting potential as national powers by virtue of their iconic coaches and recruiting success. Illinois: How competitive can the program be in year one under Lovie Smith? After Illinois abruptly fired coach Tim Beckman last August, the best next move for the program would have been to begin searching for someone who could take over for Beckman long-term. Instead, it awarded interim coach Bill Cubit a two-year deal in late November, a move that neither inspired enthusiasm nor provided stability. Over the weekend new athletic director Josh Whitman fired Cubit and hired former NFL head coach Lovie Smith. Smith's track record is impressive, and he improves the Illini's outlook in the long run, but the short-term picture is bleak: Smith will be working with a roster that won only two conference games last season. Indiana: Was extending coach Kevin Wilson the right decision? In five seasons under Wilson, Indiana has gone 20–41 and reached a bowl game only once. It has never cracked the AP Top 25 or finished better than fourth in its own division. Yet in January the Hoosiers saw fit to hand Wilson a six-year, $15.3 million contract extension. While Indiana posted its highest win total (6) last season since 2007 (under former coach Bill Lynch), the move felt less like an encouraging development for the future than an acknowledgement that the program might not be able to do any better. That’s probably true: In the Big Ten East, the Hoosiers have to face Michigan State, Ohio State, Michigan and Penn State every year. Iowa: Was last season a blip or the start of a trend? Hawkeyes coach Kirk Ferentz was a popular name on hot seat lists entering last season. A few months later, his team fell three points short of winning the Big Ten championship and earning a spot in the playoff. Iowa placed fifth in the final CFP rankings, but it’s fair to question whether it was actually the fifth “best” team in the country; the Hawkeyes ranked 26th in average scoring margin and 47th in Football Outsiders’ final S&P+ ratings. While winning 12 games again will be a challenge, it would be surprising if Iowa dips back into seven- or eight-win territory given the Hawkeyes bring back several key pieces from last season, including quarterback C.J. Beathard and defensive back Desmond King. 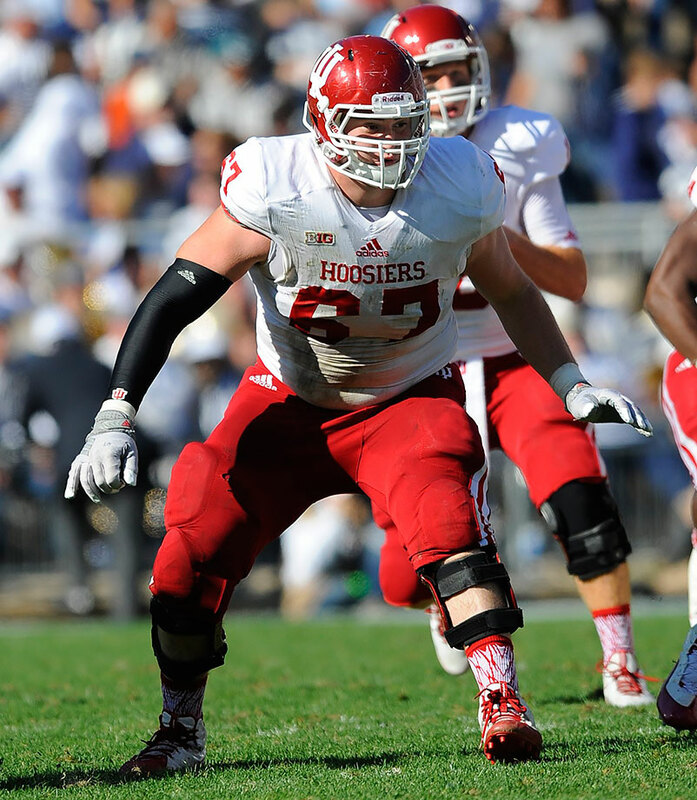 In his sophomore season, Allen was named second-team All-Big Ten and started at both left guard and center. 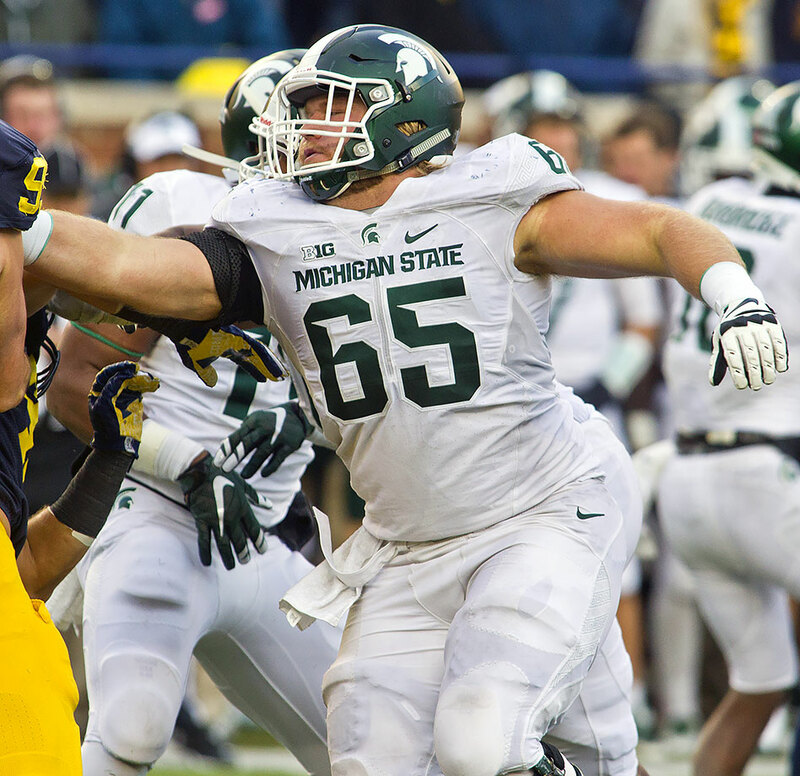 He'll face bigger expectations in 2016 now that standout linemen Jack Allen and Jack Conklin are off to the NFL. 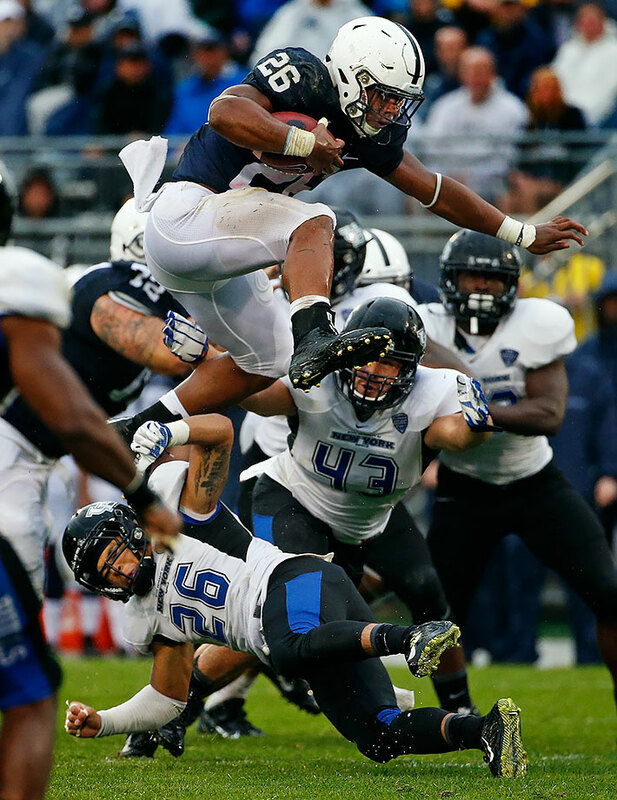 Barkley rushed for 1,076 yards and seven touchdowns as a true freshman at Penn State. He was the only true freshman to earn AP first- or second-team All-Big Ten honors. After splitting time with Cardale Jones last season, Barrett will finally have the quarterback position to himself for the first time since he helped get the Buckeyes to the national championship in 2014. He only threw for 992 yards and 11 touchdowns in all of last season after throwing for 2,834 yards and 34 touchdowns in ’14. 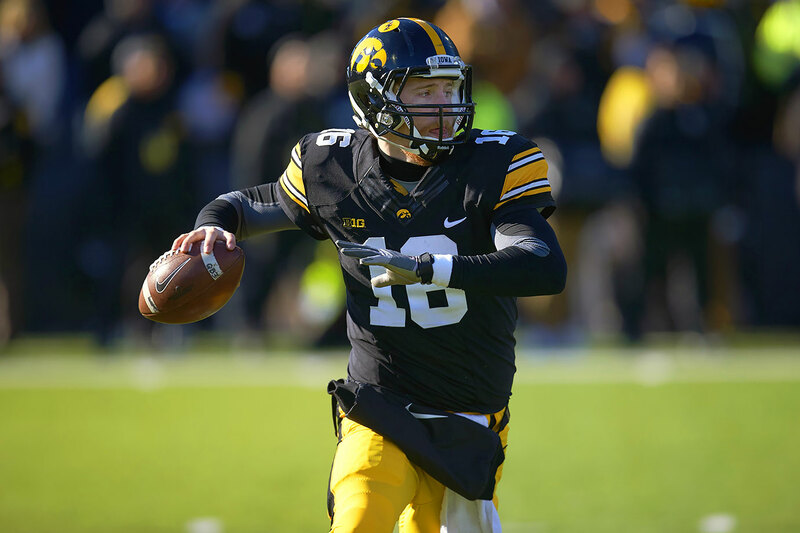 In his first full year as the starting quarterback, Beathard led Iowa to a 12–2 record, including appearances in both the Big Ten title game and the Rose Bowl. He threw for 2,570 yards and 15 touchdowns. After earning All-America honors last fall, Feeney decided to return to Bloomington for the 2016 season. He has allowed just one sack in 37 career starts. The cornerback delighted Iowa fans by announcing he would return for his senior year after reigning in eight interceptions (second most in the FBS) and winning the Jim Thorpe Award during his junior campaign. His dominant 2015 season earned him consensus All-America honors in addition to a first-team all-Big Ten selection. Lewis was named to first-team All-Big Ten after recording 52 tackles and two interceptions last fall. He helped lead a Wolverines defense that ranked fifth in the country in yards allowed per play. The versatile senior from Maryland holds several Terrapins records, including most interception return yards in a season and single-game punt and kickoff return yards. He spent most of his time as a cornerback and returner, but he also started at wide receiver against Wisconsin. Big Ten coaches listed him first-team All-Big Ten as both a corner and returner, and he was an All-America punt returner. Peppers was named second-team All-Big Ten as an all-purpose performer last season, when he recorded 45 tackles, deflected 10 passes and was featured as a return man. Now the do-it-all performer is taking on a new role—linebacker, a switch from the defensive back role he filled last season. The third-leading tackler in the Big Ten was a force for the Wildcats in 2015, finishing with 120 tackles and appearing in all 13 games. He added four sacks, one interception and one forced fumble en route to a first-team All-Big Ten selection. 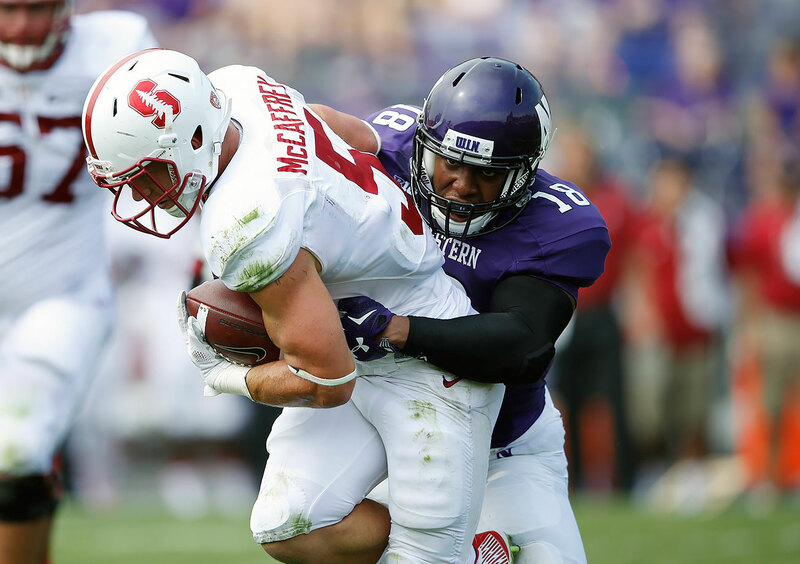 Walker led Northwestern to a 13th-ranked scoring defense and a 10–3 record despite the offense that averaged just 22.5 points per game. Maryland: How far behind is Maryland in the Big Ten East? The East features two teams, Ohio State and Michigan, who should be playoff contenders virtually every season as long as Urban Meyer and Jim Harbaugh are their respective coaches. Another team in the division, Penn State, has compiled a top-25 recruiting class in three consecutive years and is building a stronger roster after dealing with limited depth caused by scholarship restrictions. Yet another team in the division, Michigan State, has posted at least 11 wins in five of the last six seasons and won two conference titles in the last three years. Maryland could make headway in the East over time by tapping into a strong local recruiting base, but that won’t be easy if the Terrapins don’t show any improvement on the field. 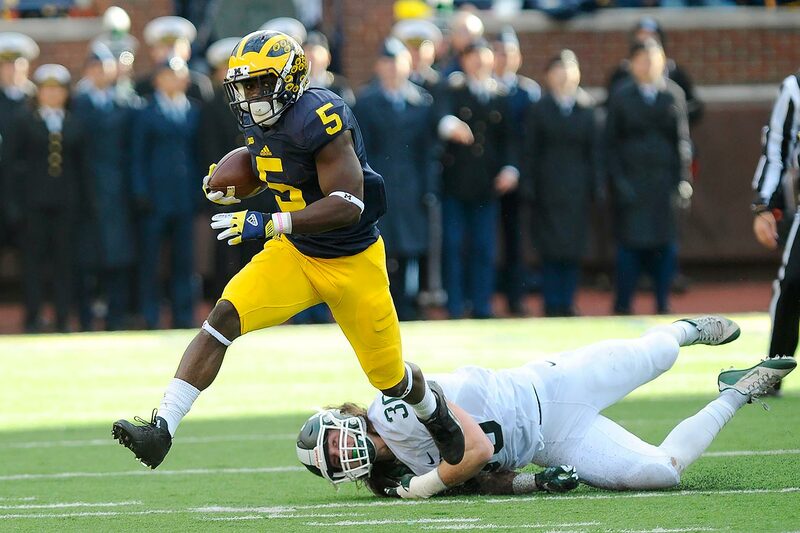 Michigan: Who will step up at linebacker? The Wolverines lose all three starting linebackers (Joe Bolden, Desmond Morgan and James Ross III) from a defense that ranked second in the Big Ten in yards allowed per play last season. 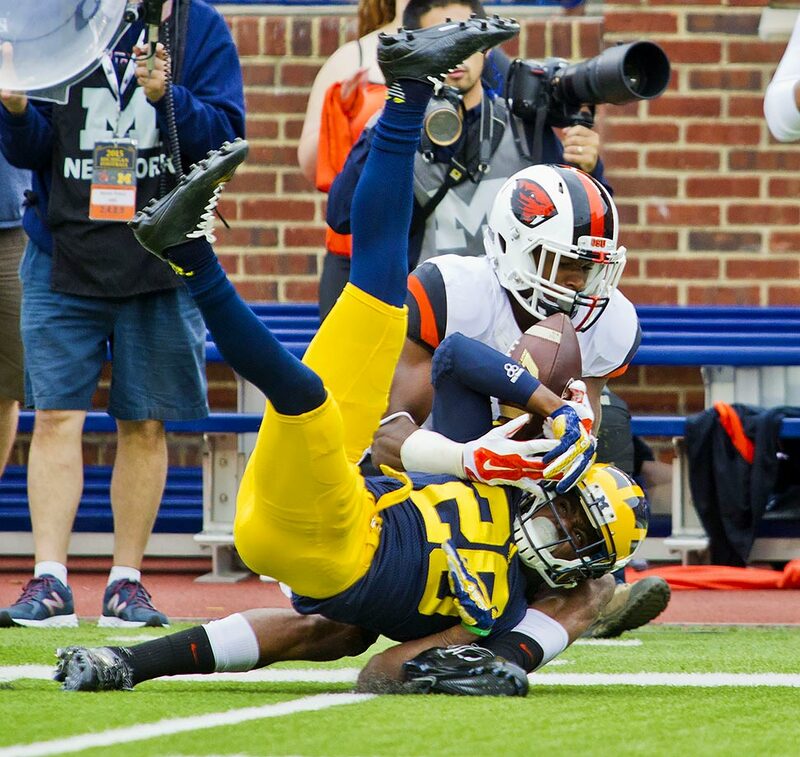 Senior Ben Gedeon could lock down one spot, three-star recruit Devin Bush Jr. may earn playing time at another and all-around stud Jabrill Peppers has been working at linebacker this spring. Still, that is a lot of uncertainty in a key position group for a team that should begin the season ranked in the top 10 of the polls. It will be up to new defensive coordinator Don Brown—who led the nation’s top defense at Boston College last season—to sort out the competition. Michigan State: Is this the year Malik McDowell breaks out? The Spartans again fielded one of the Big Ten’s top defenses last season thanks in part to a line powered by projected early-round draft pick Shilique Calhoun, Joel Heath and Lawrence Thomas. None of those players will be back in East Lansing in 2016, but the Spartans do return another player with as much potential as any of them. Junior Malik McDowell will headline Michigan State’s front seven this fall after recording 41 total tackles and 13 tackles for loss last season while helping the Spartans finish 12th nationally in defensive S&P+. With Calhoun, Heath and Thomas leaving, McDowell, a former five-star recruit, should become the focus of opponents’ blocking schemes. Minnesota: Who will step up at cornerback? The Gophers need to figure out who will replace starting cornerbacks Eric Murray and Briean Boddy-Calhoun, two third-team All-Big Ten honorees who were invited to the NFL combine last month. Senior Jalen Myrick looks like a strong bet to earn one spot, and other options include sophomore KiAnte Hardin and redshirt freshman Ray Buford. Regardless of who rises to the top of the depth chart, this much is clear: Minnesota can’t afford any slippage this season: In 2015 the Gophers ranked ninth in the Big Ten in opponent passer rating during conference play. 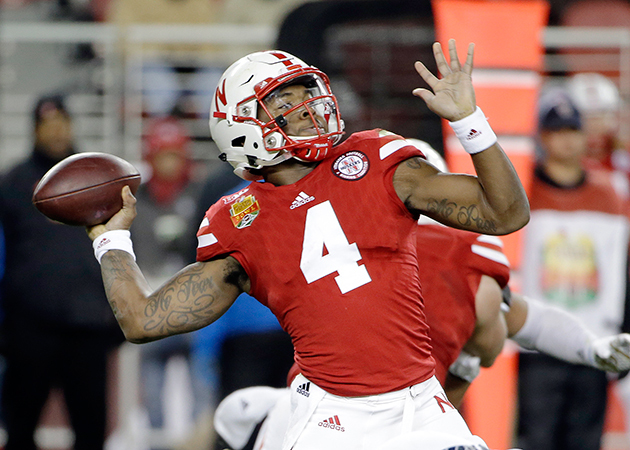 Nebraska: Will Nebraska have better “luck” in 2016? Cornhuskers fans must have felt like Nebraska played all of its games last season on Friday the 13th. A five-point loss on a Hail Mary to BYU on Sept. 5. A three-point defeat in overtime to Miami two weeks later. A one-point loss to Illinois on a touchdown pass with 10 seconds left two weeks after that. A pair of two-point defeats to Wisconsin and Northwestern in the next three games. With the exception of a questionable call that helped Nebraska upset Michigan State in November, the Cornhuskers simply could not catch a break in 2015. They can only hope for better fortune in tight games in ’16. Northwestern: Can Clayton Thorson make progress? The Wildcats managed to post double-digit wins (10) last season for the first time since 2012 despite fielding arguably the worst passing attack in the Big Ten. Northwestern ranked last in the conference in passing yards per attempt, second to last in passer rating and 112th in the country in passing S&P+. The Wildcats will hope Thorson, a rising sophomore, can make strides in his second season leading the offense. Thorson will have to make do without three of Northwestern’s top five leading receivers from 2015 (Dan Vitale, Christian Jones and Mike McHugh), but he does pose a threat on the ground (397 rushing yards, five touchdowns) alongside second team All-Big Ten running back Justin Jackson. 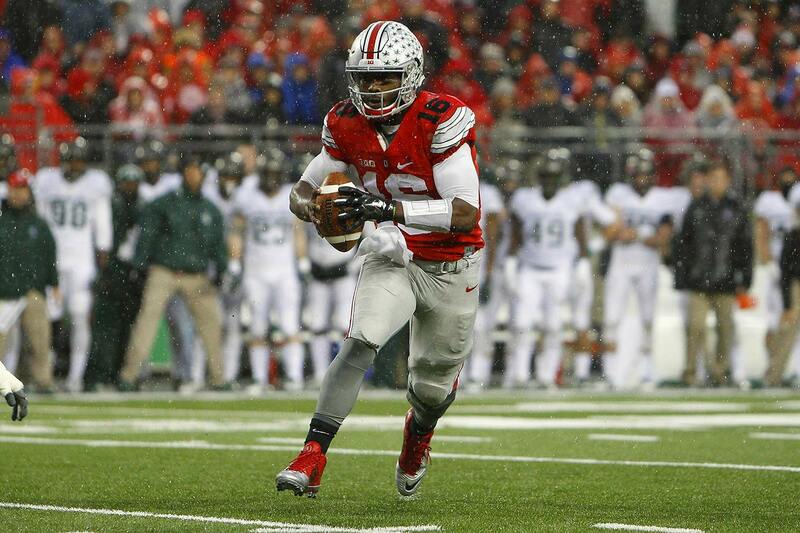 Ohio State: Can the Buckeyes reload? This year’s NFL draft will be a fitting send-off for a group of players who helped Ohio State win a national championship in 2014 and go 12–1 and reach the Fiesta Bowl in ’15. But such draft day dominance comes at a price for the program. The Buckeyes are waving farewell to 16 starters, including seven first-team All-Big Ten selections. Ohio State has landed more top-tier recruits than any other team in the conference since Urban Meyer became head coach in December ’11 (the Buckeyes have finished no lower than eighth in Scout.com’s team rankings), but it’d be unreasonable to expect those recruits to produce at the same level as the players they’re set to replace. Still, expectations remain high, and it will be pivotal this spring for Ohio State to settle on new names for key roles on both sides of the ball. Penn State: Will there be a quarterback competition? Nittany Lions coach James Franklin may not need a full-on battle to play out before deciding who will lead the first-team offense on the field in the season opener against Kent State on Sept. 3. Redshirt sophomore Trace McSorley threw for two touchdowns after replacing the now-departed Christian Hackenberg (who suffered a shoulder injury) in the second quarter of Penn State’s loss to Georgia in the TaxSlayer Bowl and looks like the favorite to win the starting job entering the spring. However, it will be interesting to see whether redshirt freshman Tommy Stevens or Jake Zembiec—a three-star prospect in the class of 2016, according to Scout.com, who enrolled early—can push McSorley. Purdue: Was keeping Darrell Hazell the right decision? The Boilermakers elected to retain Hazell even though the program hasn’t made much, if any, progress during his three seasons at the helm. Purdue’s win total dipped from three in 2014 to two in ’15, the Boilermakers fell from 79th to 86th in the S&P+ rankings and their average scoring margin went from minus-10.5 to minus-14.6. From an on-field perspective, it’s difficult to justify keeping Hazell around for another season. Yet Purdue would have had to pay a hefty buyout had it fired Hazell, who is under contract through ’18. The Boilermakers do return a Big Ten-high 16 starters in ’16, according to prognosticator Phil Steele, but that’s a mixed blessing considering how poorly those players performed in 2015. Rutgers: Can the Scarlet Knights put 2015 in the rearview mirror? Last season could not have gone much worse for Rutgers. Six players were dismissed after being charged with crimes. Coach Kyle Flood was suspended and later fired after running afoul of the university’s academic policy. Top wide receiver Leonte Carroo was suspended and star defensive tackle Darius Hamilton suffered a knee injury. Promising quarterback recruit Anthony Russo withdrew his verbal commitment. And that’s without mentioning Rutgers’ on-field performance: It won one conference game and finished last in the Big Ten East. New coach Chris Ash not only needs the Scarlet Knights to play better. He needs to begin chipping away at their status as a national calamity. Wisconsin: Can the Badgers regain their dominant rushing attack? In 2014 Wisconsin leaned on Melvin Gordon to carry the offense, and he delivered by leading the nation in rushing yards and touchdowns. With Gordon gone in ’15, senior Corey Clement looked poised for a breakout season, but an injury limited him to only four games and he was cited on two counts of disorderly conduct in November. Senior Dare Ogunbowale, a former walk-on defensive back, stepped up in Clement’s absence to lead a Badgers offense limited by shaky quarterback play, but Wisconsin finished 104th in the country with 3.82 yards per carry a year after ranking second with 6.92 yards per attempt. With Clement, Ogunbowale and redshirt sophomore Taiwan Deal returning in ’16, Wisconsin will have plenty of depth in the backfield. But can it get the elite production it grew accustomed to with Gordon, James White, Montee Ball and John Clay?